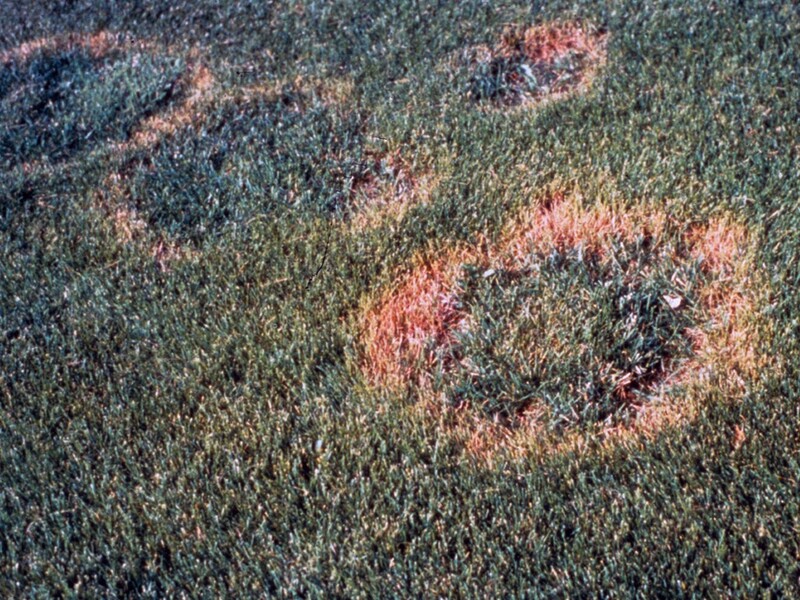 Necrotic ring spot is one of three patch diseases caused by root pathogens that are problems of cool-season turfs. The other two are summer patch of bluegrasses and fine fescues and take-all patch of creeping bentgrass. Though not all caused by the same fungus, these diseases have similar patch-type symptoms, the causal fungi are related and similar in appearance, and these fungi attack grass roots and crowns in a similar manner. 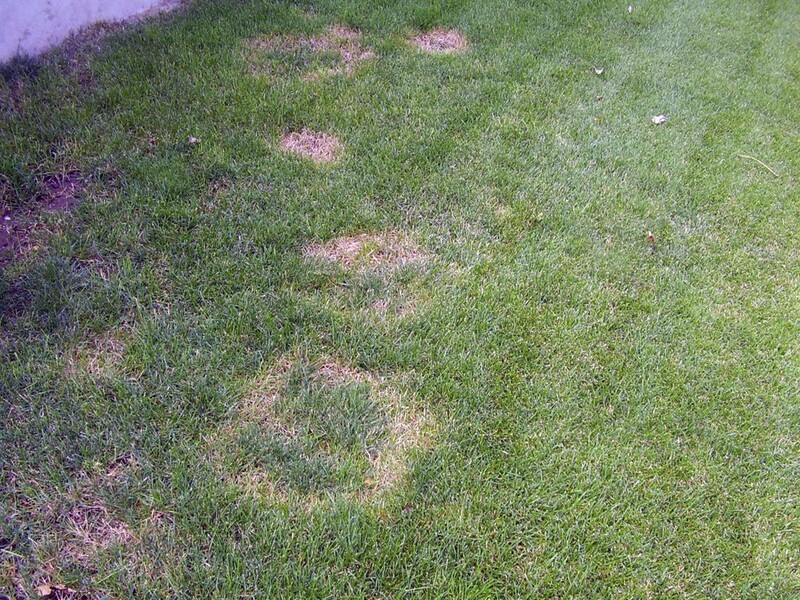 Symptoms of necrotic ring spot appear as circular, ring-shaped, or serpentine patches of dead or dying turf. Affected areas may be a few centimetres to a 300mm or more in diameter. These patches may at times coalesce, or they may stand out as individual dead rings. Leaves and stems of affected turf appear yellow or red, then turn a light tan as the disease progresses. Roots and crowns of diseased plants are rotted and recovery of affected areas is slow. Necrotic ring spot seldom occurs in newly planted turf but can occur on turf that has been recently sodded. It may begin during the fourth or fifth year following seeding and can become progressively more severe. To keep necrotic ring spot to a minimum, use cultural practices that reduce turf stress, such as irrigation during periods of drought stress and mowing lawn grasses at two inches or higher. The most effective way to manage necrotic ring spot in a home lawn is to use perennial ryegrass to overseed affected areas. Perennial ryegrass is highly resistant to this disease. Also, some benefits may result from overseeding Kentucky bluegrass varieties that are resistant to necrotic ring spot. Most systemic fungicides will provide some control of necrotic ring spot when applied on a preventive basis. However, results are often erratic and the cost of the treatment is usually too high for most home lawn situations.